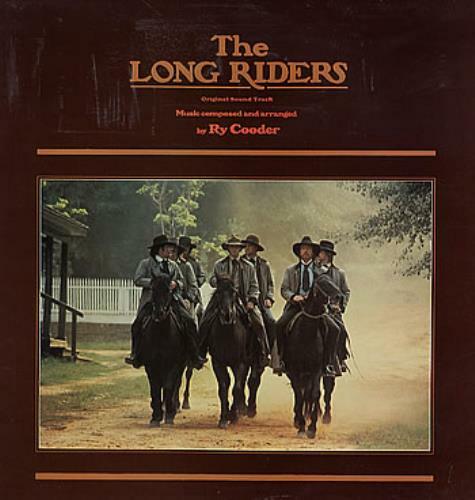 ORIGINAL SOUNDTRACK The Long Riders (1980 UK 13-track LP, featuring music composed & arranged by Ry Cooder from the soundtrack to the movie, picture sleeve. The sleeve is in its opened shrinkwrap and has a little laminate life, but the vinyl looks barely played K56826). or visit our Ry Cooder image gallery.